A young artillery lieutenant, strolling through the Palais-Royal, observes disapprovingly the courtesans plying their trade. A particular woman catches his eye; nature takes its course. Later that night Napoleon Bonaparte writes a meticulous account of his first sexual encounter. A well-dressed woman, fleeing the Louvre, takes a wrong turn and loses her way in the nameless streets of the Left Bank. For want of a map--there were no reliable ones at the time--Marie-Antoinette will go to the guillotine. 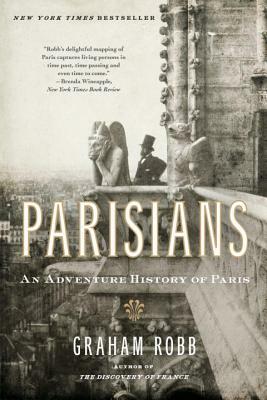 Baudelaire, the photographer Marville, Baron Haussmann, the real-life Mimi of La Boheme, Proust, Adolf Hitler touring the occupied capital in the company of his generals, Charles de Gaulle (who is suspected of having faked an assassination attempt in Notre Dame)--these and many more are Robb's cast of characters, and the settings range from the quarries and catacombs beneath the streets to the grand monuments to the appalling suburbs ringing the city today. The result is a resonant, intimate history with the power of a great novel.